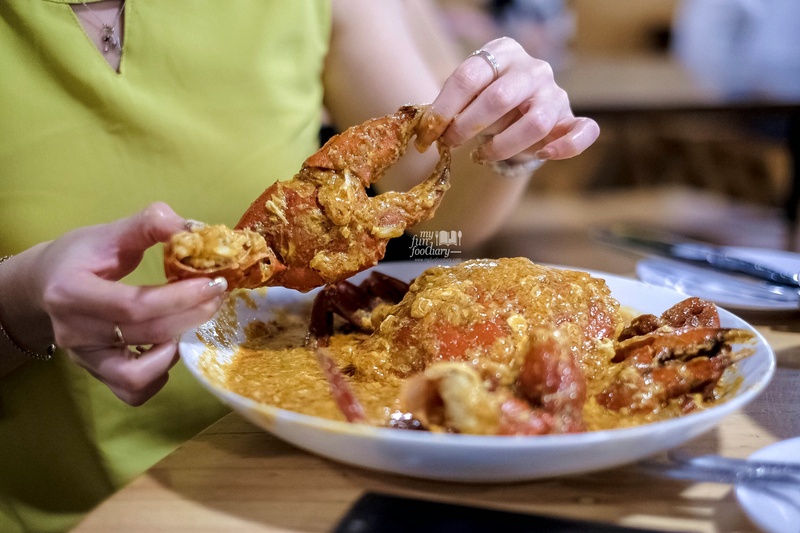 I’m a big fan of crab and was so happy to finally able to try the Chili Crab in this restaurant with my family for dinner last month. We didn’t know that this seafood restaurant already exists right next to Sun Merry Bakery for several years. Gosh! Where am I? Ha-ha.. 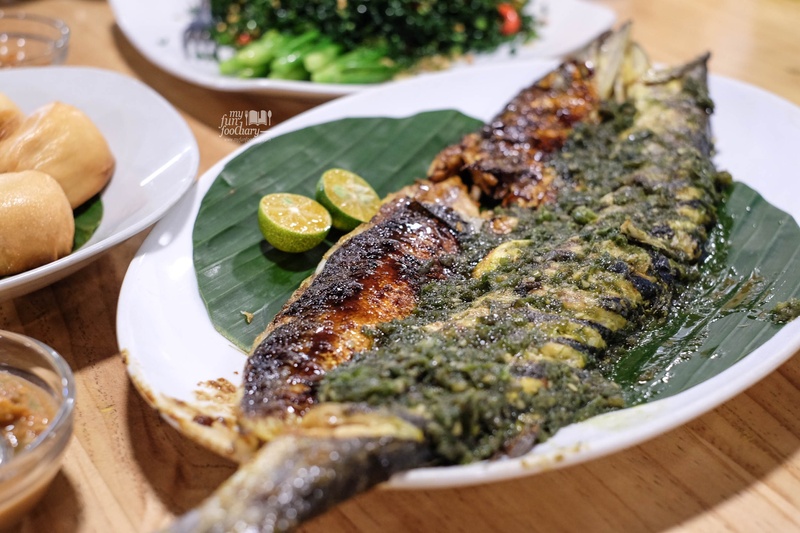 Located in Muara Karang – Pluit (North Jakarta), Cabe Ijo Seafood Restaurant offers a variety of seafood delicacies, including live crabs, fish, and many others. Upon arrival, the restaurant was packed, and everyone seemed to be enjoying the atmosphere and food on their tables. Luckily, there’s still one remaining table for the 7 of us. Yay! 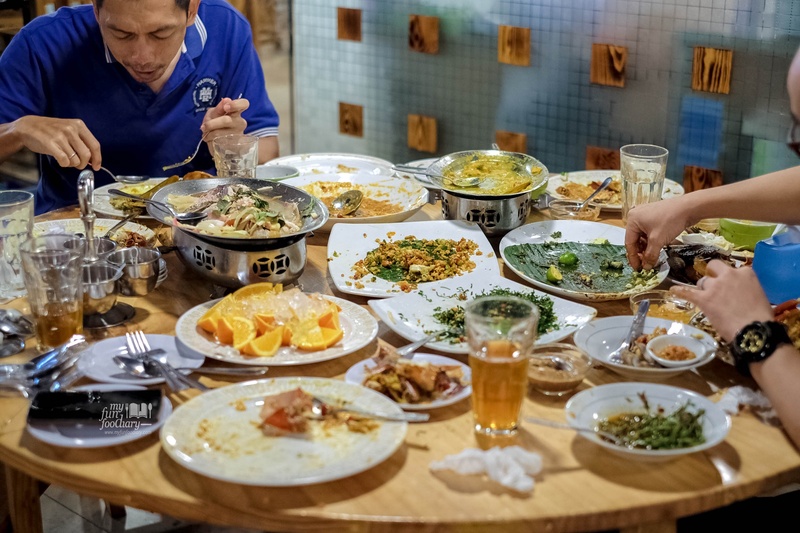 Most of the seafood restaurants in Jakarta provides a common crabs menu such as black pepper crab, smoked crab, etc. 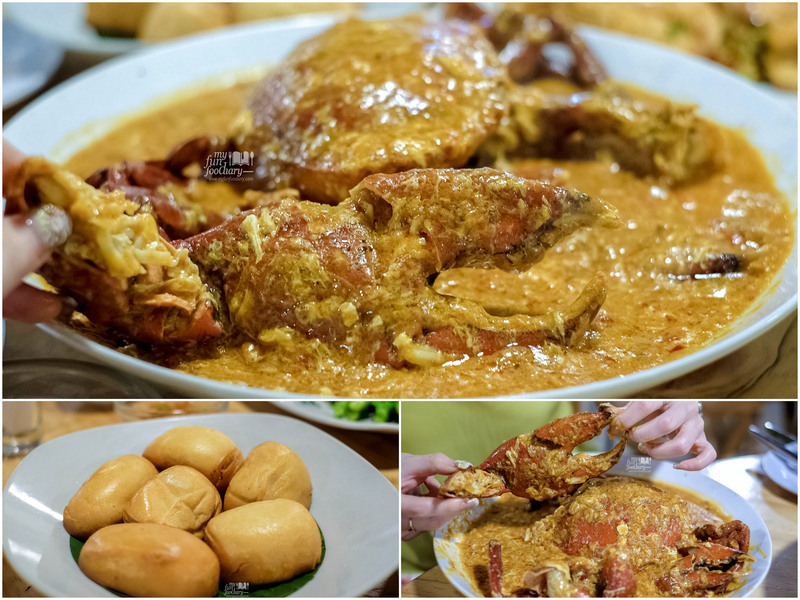 In my opinion, the Chili Crab dish which is popular in Singapore is still rare in Jakarta. That’s why I was delighted to find it here in Cabe Ijo Seafood Restaurant. Even though the appearance may be very messy, this Chili Crab (IDR 288K for 8 ons) tasted so delicious and spicy. This Chili Crab was amazing, and it’s packed with so many flavors we won’t mind getting a bit messy with this delicacy! Best eaten with Fried Mantou (IDR 30K), and make sure you order it as well. 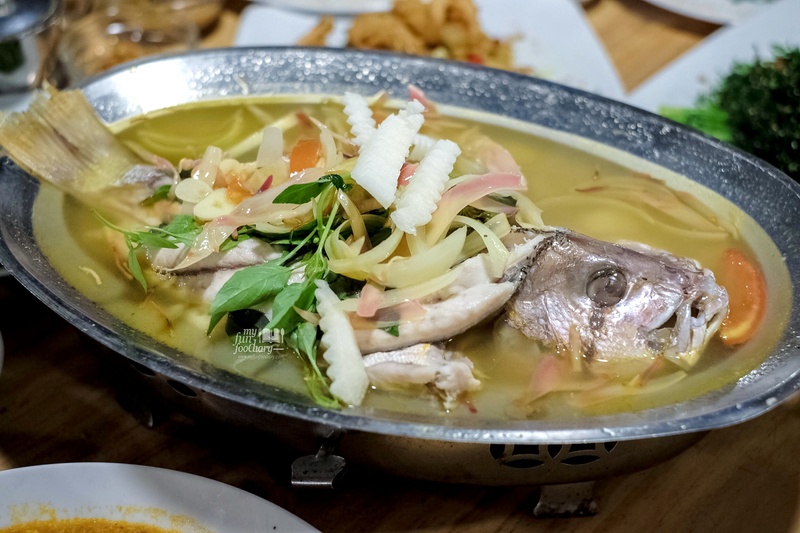 The fish that they offer is also quite different from other seafood restaurants. 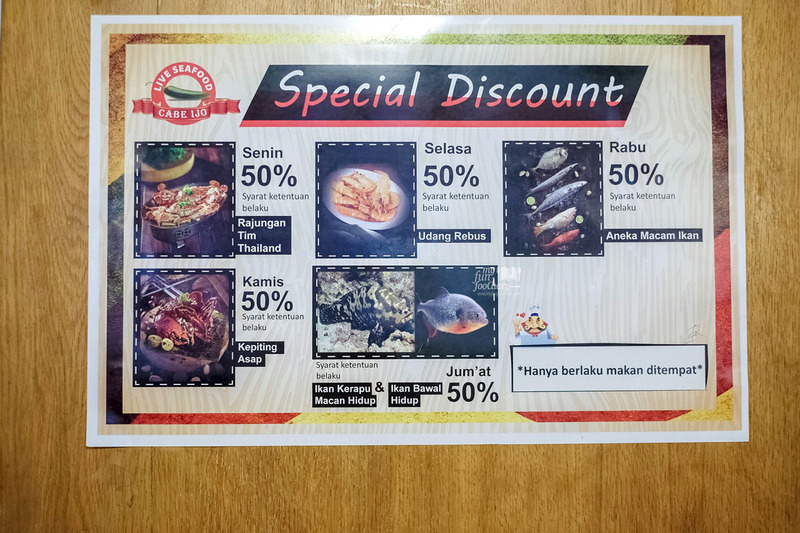 We ordered two types of fish, Ikan Jenaah Tim Thailand (IDR 65K, price may be vary depends on the weight), and Ikan Alu-Alu Cabe Ijo (IDR 58.8K, price may be vary depends on the weight); both are equally delicious. We also had the steamed clam, with some vegetables. Pakis Ebi (IDR 30K) was quite rare, but it tasted delicious, with small leaves and tasty shrimp flavor in the sauce. 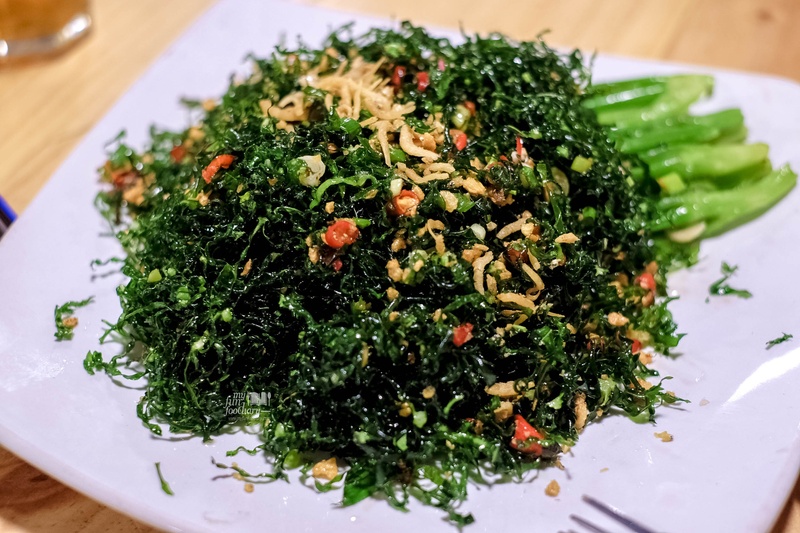 As for Kailan 2 Rasa (IDR 45K), was fried to perfection until crisp, and all of us addicted to this vegetable! 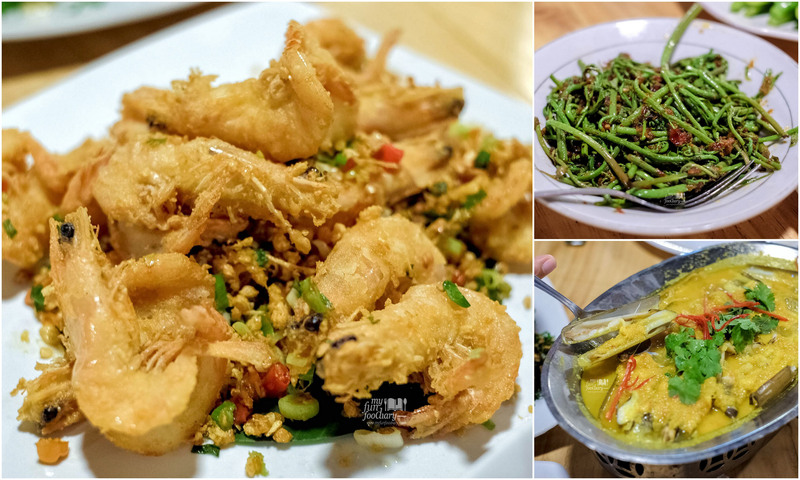 The flavors on all the dishes sparkled, even for the Salt Pepper Shrimp (Udang Cabe Garam) and the Bamboo Clam in Pineapple Sour Sauce (Kerang Bambu Saus Asem Nanas) which they provided for us as complimentary from the owner who recognize us that night. Thank you! The service was prompt given the fact that the restaurant was very crowded. 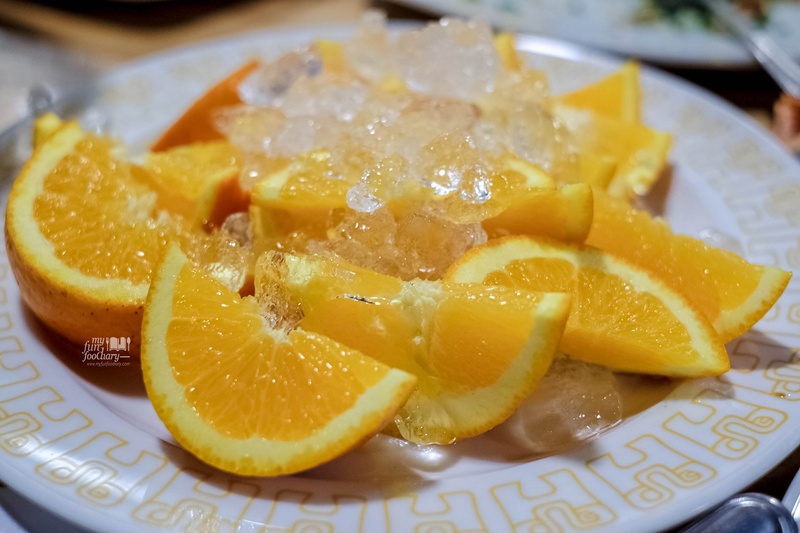 All the food was very good, fresh and delicious, nicely prepared and presented. We truly enjoyed our seafood night, and definitely will return for more crabs and another meal. 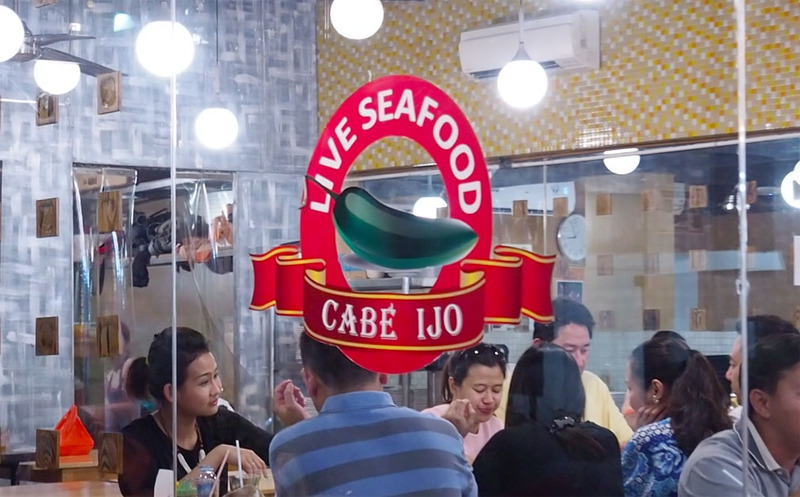 If you like crabs, Cabe Ijo Seafood Restaurant is one of the seafood places to go in Jakarta!